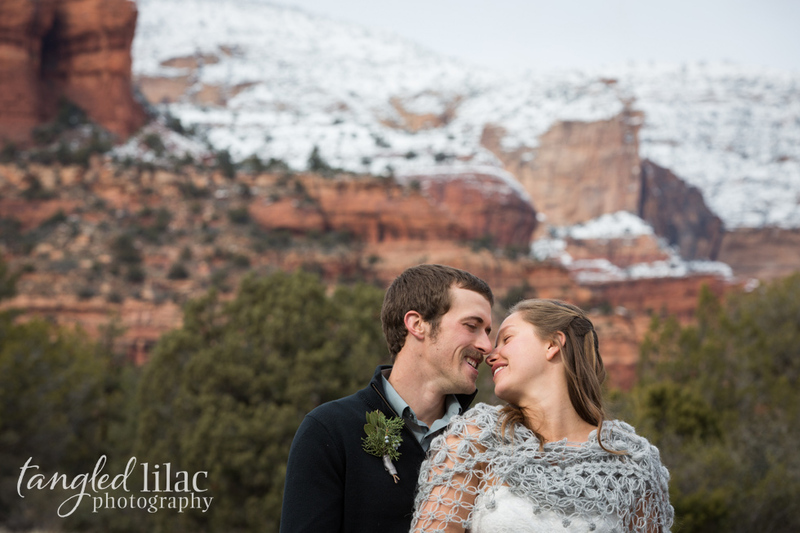 Marilla and Mitch are both avid rockcliimbers and wanted to have their ceremony on a beautiful overlook in Sedona where they love to climb. 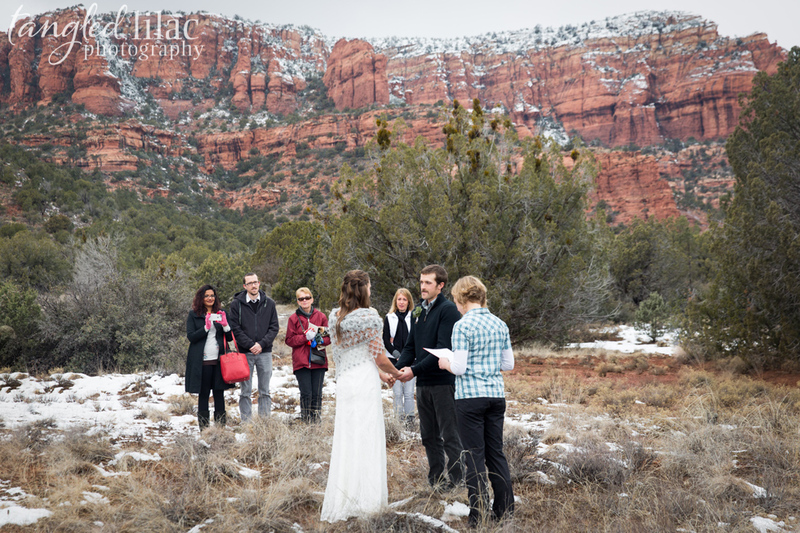 The couple planned for a small, intimate ceremomy so they could all make the one mile hike up the cliff to the ceremony place. 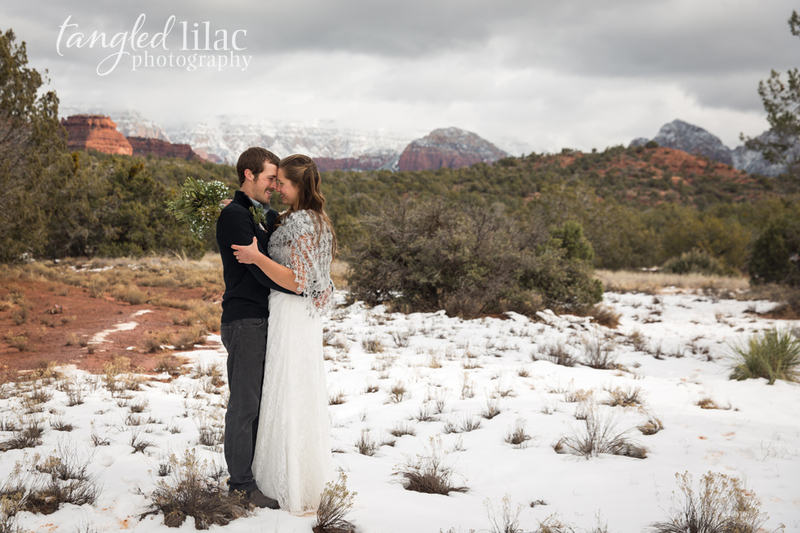 However, they didn’t think it would snow and ice in Sedona. 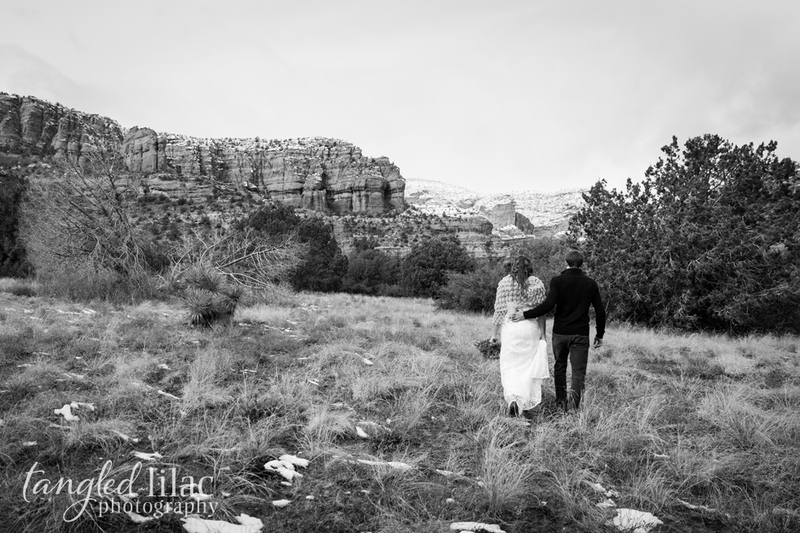 The day before the ceremony, the couple tried to ascend the mountain and quickly found out that the ice and snow was going to prohibit that location. So, they decided on the base of the trail instead, in a lovely meadown near Cockscomb Trailhead. 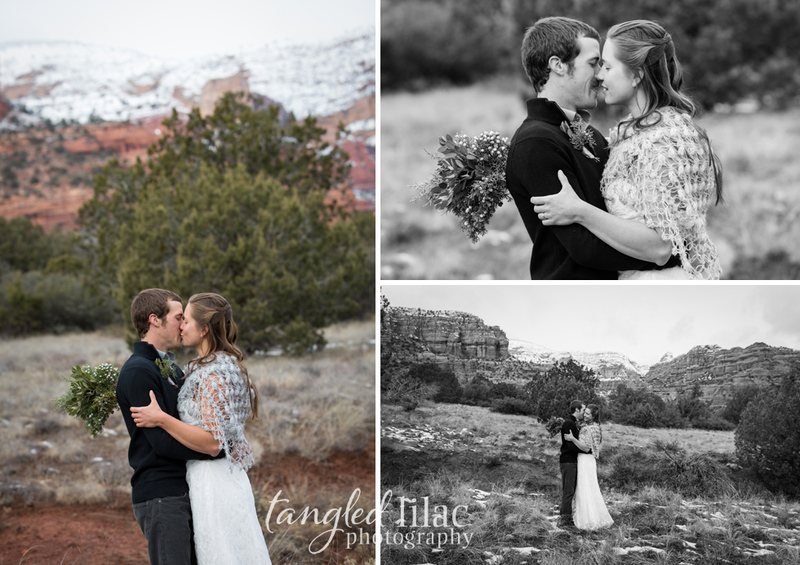 We think it was the perfect place for them to join their lives together, with panaramic views of the mountains surrounding them. 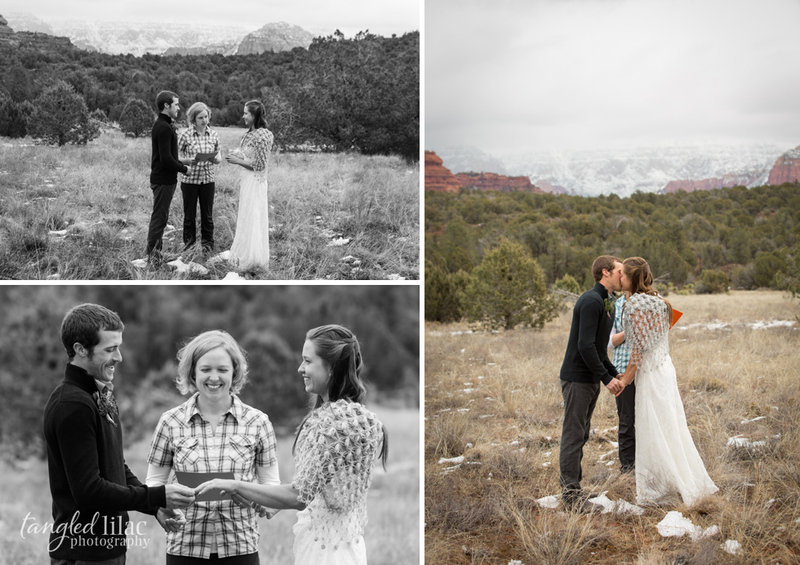 Congrats Marilla and Mitch! We are so excited for you both and wish you the best!